A belated welcome to edition 18 of the Railwaymedia blog. As expected I've not done much in the way of photography over the last two weeks, mainly due to work but also due to the weather. Or at least that's my excuse, as to be honest on the occasions it has been reasonable outside I haven't been able to be bothered venturing out with my camera! I have spent the last two weeks beginning the process of scanning in my bus pictures. These were mainly taken prior to 1996, and covering the time when I was working for various operators driving on both the South Coast and back at home in Southport. Whilst I appreciate a lot of readers might not have any great fascination in bus pictures, and indeed I rarely go out now taking them myself, personally I find these shots of buses that are no longer in font line service interesting. But moving back to railed vehicles, the only time I have got out with my camera lately was last weekend which was, of course, a bank holiday. 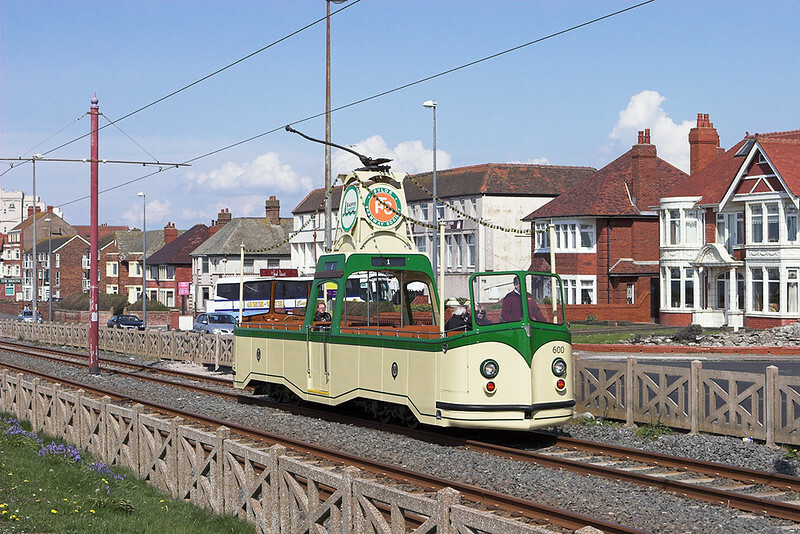 I reckoned that the 20 minute Flexity timetable on the Blackpool Tramway would be supplemented by a variety of the older vehicles, both on the 'preserved' Hertiage service and also 'modified' Balloons on additional short workings. I was wrong. I visited on the Sunday which was nice and sunny, even if not too warm. There was indeed the booked Starr Gate to Fleetwood low-floor tram service, though being a Sunday this was at a 30 minute frequency rather than 20, and the Heritage Tours were also operating on a half hourly timetable, using Open Boat 600 and Open Balloon 706, both though with very few onboard. The Heritage Trams charge considerably more (£10 for a day ticket instead of £4.50 for one that covers both the Flexities and all Blackpool Buses), which sort of explains the emptiness of them. A new feature I have been meaning to include in this blog for bit is "92-watch": this is in recognition that today (12th May) marks a full two months that 92012 has been dumped in a siding at Shap Summit. It suffered severe wheel flats whilst working 4M63 so requires dragging at a very slow speed on wheel skates back to Crewe. As this will cost a lot and take much organising it lookes like DB Schenker have decided there's not a great hurry to repair it. 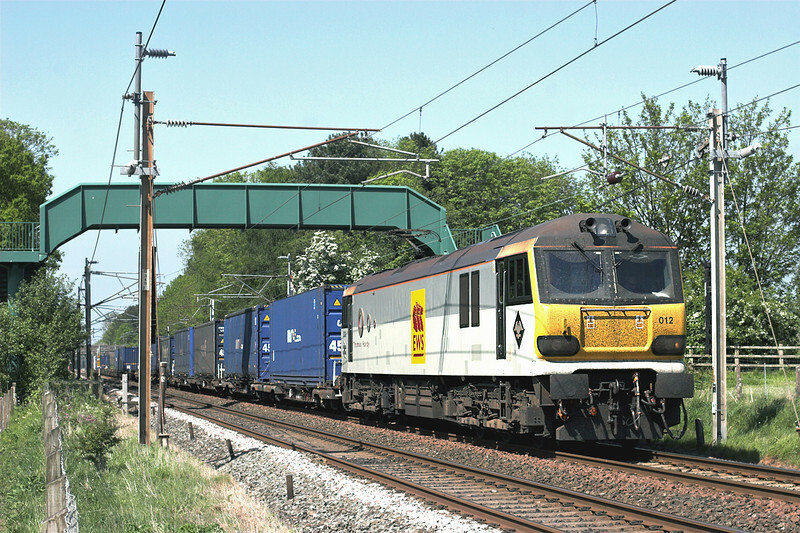 Just under two years ago on the 24th May 2010, 92012 was in charge of the same 4M63, seen here at Brock. 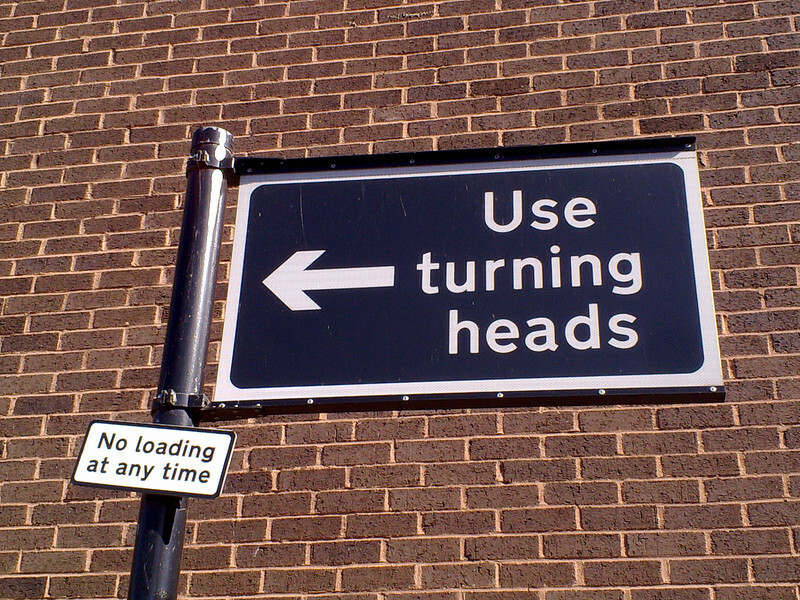 So, as there's not much else to report, I shall leave you with the latest 'Stupid Sign of the Week'. I had got one lined up from last weekend's Reading Beer Festival, but as I managed to 'misplace' my phone on the way back from it you'll have to settle for this old one from last year in Kings Lynn. I have been since told what it referred to but I have to admit I had no idea what it meant when I first saw it. Thanks again for taking the time to read. I really don't know when I'll have enough to say of enough interest to form the next blog but please keep checking back, even if it's just to see the progress of how much 92012 is rusting away in the fells or what inane signage our local councils have made up.